Quintessentially British institutions such as Hadrian's Wall, Land's End and the Devonshire cream tea will get their own Chinese nicknames in a £1.6m tourism push by VisitBritain. The "Great names for Great Britain" campaign is VisitBritain’s biggest for any one market, and includes £200,000 in funding from UK Visas and Immigration for the first time. The idea taps into the Chinese habit of bestowing unusual nicknames on people and places, exemplified by Oriental fans of Sherlock renaming Benedict Cumberbatch "Curly Fu" and co-star Martin Freeman "Peanut". The campaign will ask would-be visitors to the UK to assign their own nicknames to any of 101 British places, landmarks and foods. Examples include malt whisky, the Shard and the Shambles in York. VisitBritain’s marketing director, Joss Croft, told Marketing that the campaign’s aim was less about raising the UK’s desirability as a holiday destination, but "unlocking" its cultural potential for the Chinese. Citing a recent Anholt-Gfk Nation Brands Index, which examines people’s attitudes to other countries, Croft pointed out that the Chinese rank the UK as second only to China as their ideal tourist destination. He said: "China is not a market where we need to let people know about the attractiveness of Britain. What we need to do is to start to unlock that market, and provide fantastic reasons for them to come and that is what the campaign is about." The campaign is targeted at the growing number of independent Chinese travellers who are shunning large group bookings through tour operators and booking independent journeys instead, said Croft. VisitBritain will take nickname suggestions through a dedicated microsite, with cross-channel activity to drive visitors there. 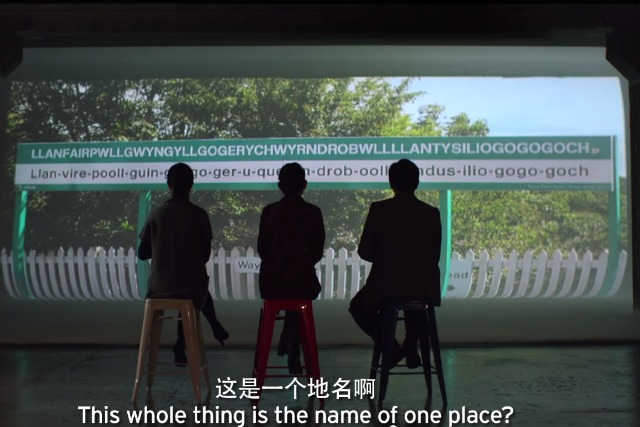 Potential tourists can engage with the campaign on Chinese social media sites Baidu, Weibo and Weixin, as well as through several 15-second clips and outdoor ads. Visitors whose names receive the most "loves" on the microsite will win a trip to the UK. The campaign will kick off this week and run until 31 March, with VisitBritain tracking Chinese tourists' motivation to travel as an indicator of the activity's success. If the campaign is successful, Croft said VisitBritain would extend the activity and include more cultural entities. Though £1.6m is a "significant sum" for VisitBritain, Croft admitted it is not a large amount when spread over a diverse population of more than 1bn people. The tourism board will nonetheless be under pressure to see a return on investment to justify its continued funding from the Departure of Culture, Media and Sport. Croft said: "Our competitors are spending significantly more money than we are in that market, it’s a very crowded and expensive marketplace. "[China is] huge, more like a continent than a country, so that £1.6m has to work very, very hard, but we think we’ve got an idea here that will capture the mood and engagement of our target audience." VisitBritain had its government funding cut by 5% for 2015/16 to £19.8m, after DCMS had its own budget cut by 7% to £62m. The tourism board also receives funding from partners, including British Airways, easyJet and Emirates.